It’s been quite sometime now that I have been playing with SCOM version 1801. When i installed operations manager version 1801 in my lab setup, it never asked for a product key during installation. I knew i was running an evaluation version of this product. However I was curious to find out a way to convert SCOM evaluation version to full version. 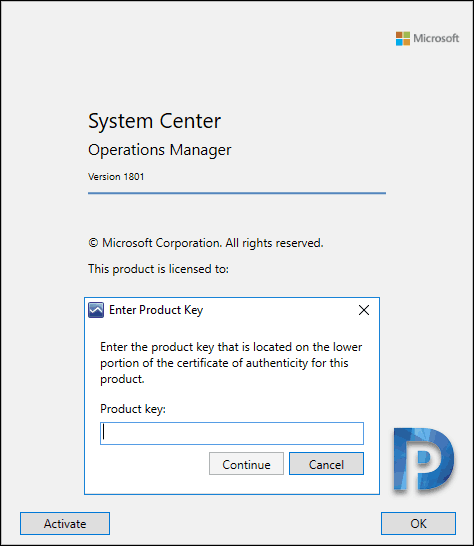 First of all to upgrade from an evaluation version of Operations Manager to a licensed version, you must obtain a valid product key from Microsoft. When you install SCOM version 1801, you can use the evaluation version up to 180 days. 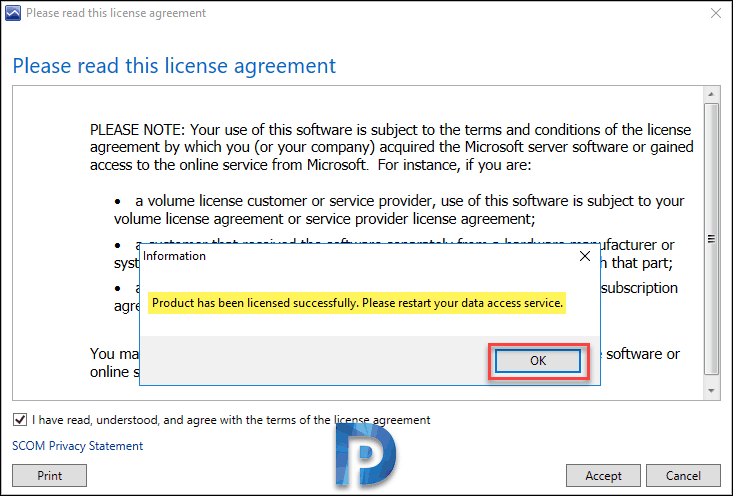 Once you complete the evaluation period, you must activate the product using a license key. While you already have the SCOM 1801 license key with you, why not activate it right away. There are two ways to upgrade from SCOM evaluation version to full version. Enter SCOM product key via Operations Manager Console. Probably the easiest one out of both. 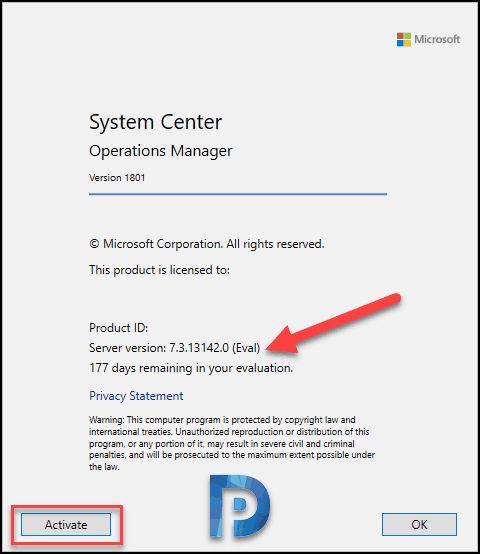 Before we convert SCOM evaluation version to full version, let us determine the license version and time of expiration. Both of these can retrieved with a simple command. The SCOM license version is either Eval or Retail. If it shows (Eval), then your installation is an evaluation version. Launch the PowerShell as administrator. Run the below command. So as per the output, I am running SCOM Eval version 7.3.13142.0. The time of expiration is also shown in the command output. Launch (SCOM) Operations Manager console. On the Top menu, click Help > About. On the window, it shows the SCOM version number. Enter the product key in the box and click Continue. You will now see license agreement box. It shows Product has been licensed successfully. Please restart your data access service. Click OK.
Close the Operations Manager console. Restart the data access service. Launch the operations manager console and check the Help > About. It should now show the license type as Retail. The second method to upgrade SCOM evaluation version to full version is via PowerShell. Must have granted temporary membership of the sysadmin fixed server role on the SQL Server instance hosting the Operations Manager operational database. Run the below commands in order to activate SCOM using PowerShell. Launch the PowerShell as administrator. Run the command Import-Module OperationsManager. Enter the management server. You will asked to enter the credentials. Enter Y to confirm the activation. SCOM will be activated using the supplied product key. To confirm if SCOM is activated, run the PowerShell command again and you should see the license is changed from Eval to Retail.